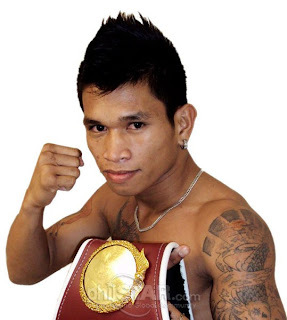 Newly-crowned International Boxing Federation light flyweight champion Johnriel Casimero will defend his title against undefeated opponent Pedro Guevara from Mexico. The match will take place in Sinaloa, Mexico on August 5 (Manila time) and will be aired via satellite on AKTV starting at 1PM. Casimero, who has a record of 16 wins and 2 losses with 10 knockouts, will go up against Guevara, who has a record of 18 wins, 13 knockouts and 1 draw. Casimero won the interim title with a 10th round TKO over Argentina’s Luis Lazarte. The said bout last February 10 was marred by a post-fight riot among the Argentinian fight spectators. Casimero was elevated to full champion by the IBF after champion Ulises Solis declared he would be unable to defend his title due to a critical surgery. Analysts say the odds are against Casimero this time around, much to the delight of Guevara’s supporters. Guevara is the reigning North American Boxing Federation champion. He won the title in a seventh round TKO over Jorle Estrada last October 22. Last December, he won the WBC Silver title by knocking out Karluis Diaz in the third round. Catch Pinoy Knockout: Casimero vs Guevara on Sunday, August 5 at 1-2pm (via satellite) on AKTV on IBC13 with a replay on August 10 at 7:30pm on the same channel.